LADURÉE was a famous brand of macaroons in France. 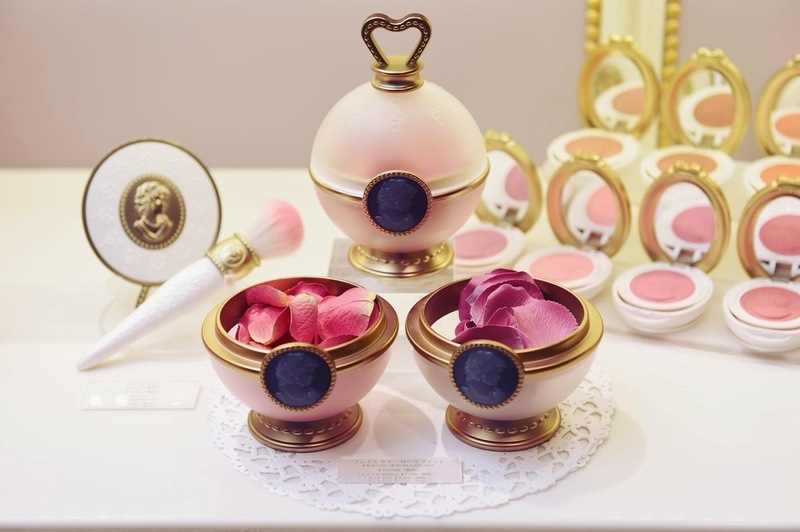 The legendary patisseries brings the art of Ladurée to a new stage by developing its cosmetic products! It means fantastic/ unique in French.
" What is really beautiful can intrinsically enchant women by exciting their five senses in an overwhelming manner." 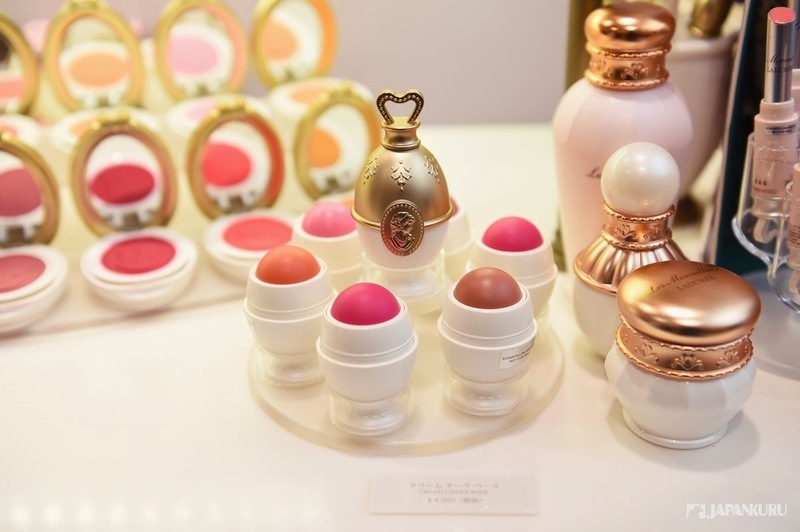 This is the original concept and philosophy of LADURÉE cosmetics to be represented. 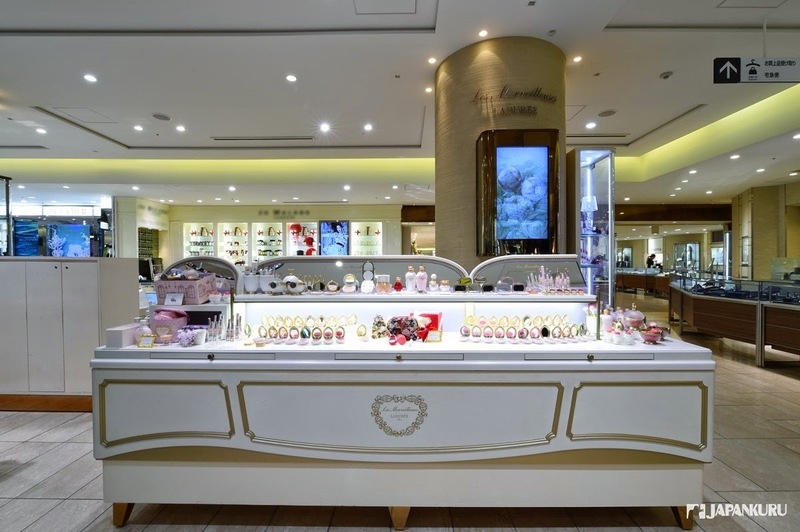 Basically, you can find the shops of Les Merveilleuses LADURÉE in various place in Tokyo. 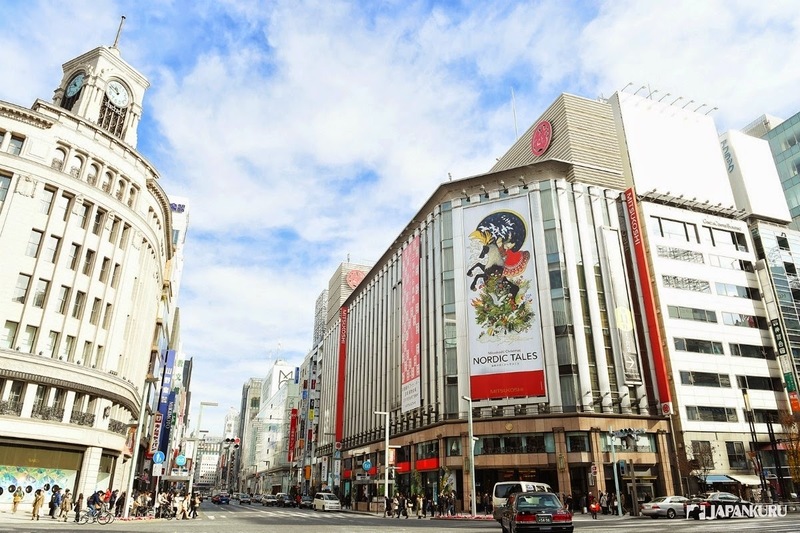 For example, ISETAN Shinjuku, LAFORET Harajuku, and Tax-Free Shop at Hanada Airport. 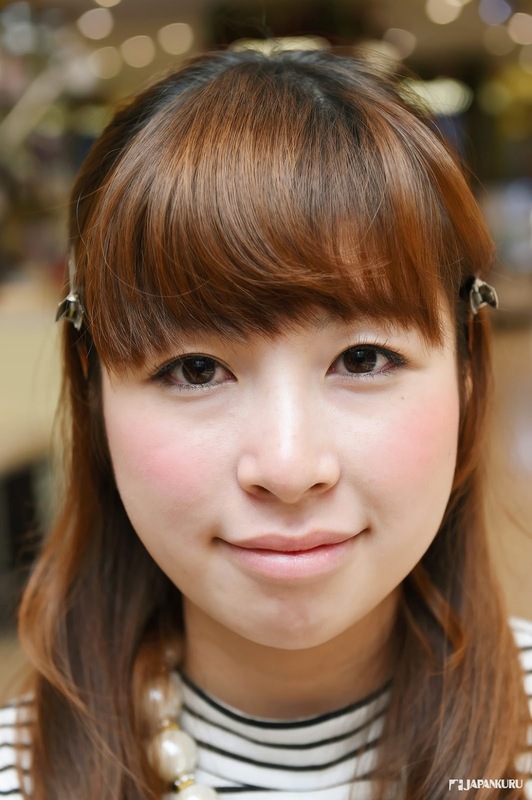 The most popular product is "Cheek" related items. Let's create our own best stage! 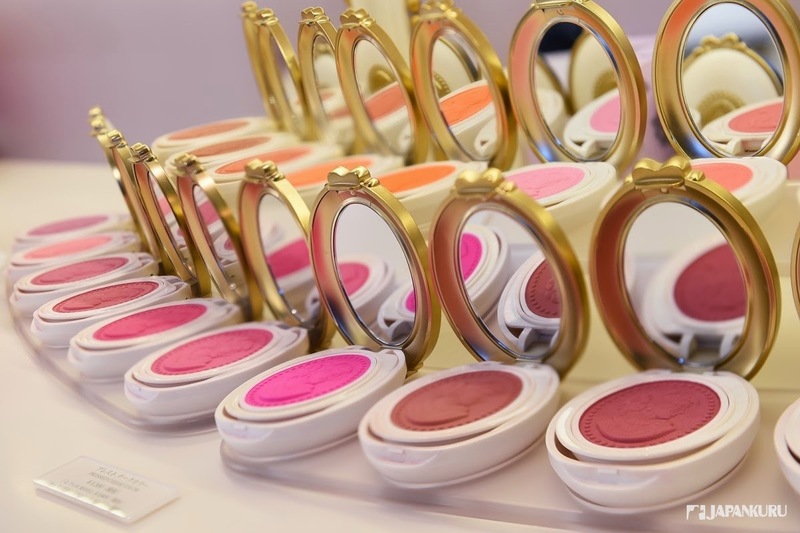 Using these FACE COLOR ROSE LADURÉE to make our face look more brilliant. Use a make-up brush stroking the petals gently. 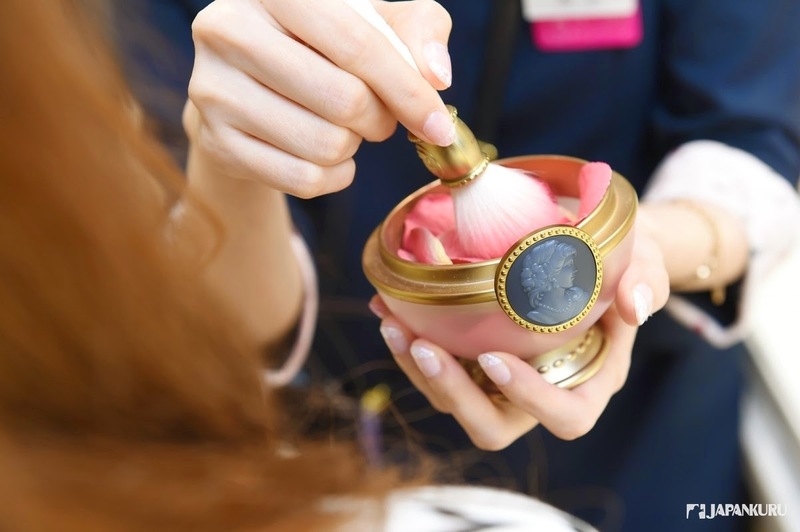 Powder on the petals then will automatically stick to brush. Creates a feminine, soft complexion, as if colors come out from inside the skin. It is a must have item to keep your face color stay longer. You might also use it as eye-shadow colors! there are 20 colors for you to choose to match your clothing and express yourselves in many ways. so it is very convenient for ladies to bring along with anywhere, anytime. you can keep your case and just buy a new refilled cheek color. on the right, stick cap in golden color is MATTE ROUGE. 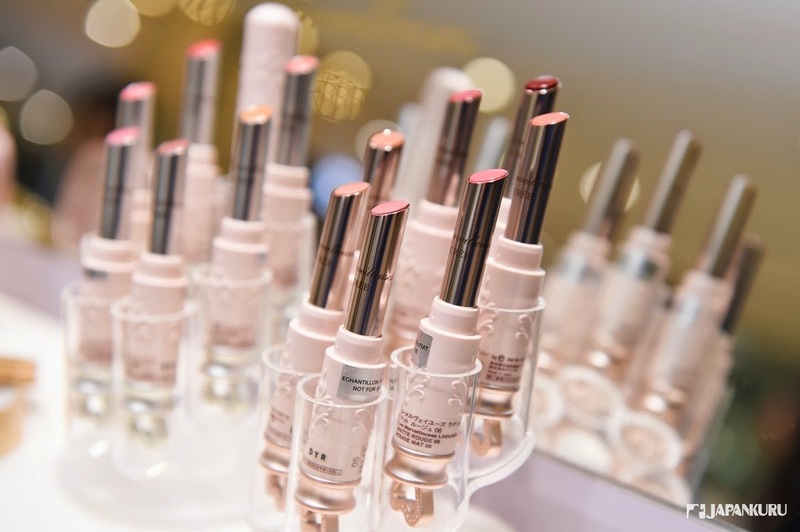 It is a new style of glossy rouge to keep your lip in moisture. Moreover, you might have seen the balm in case. moisture your lip and express your beauty anytime, anywhere! Wanna know more about Les Merveilleuses LADURÉE? Wanna know what colors suit yourselves? 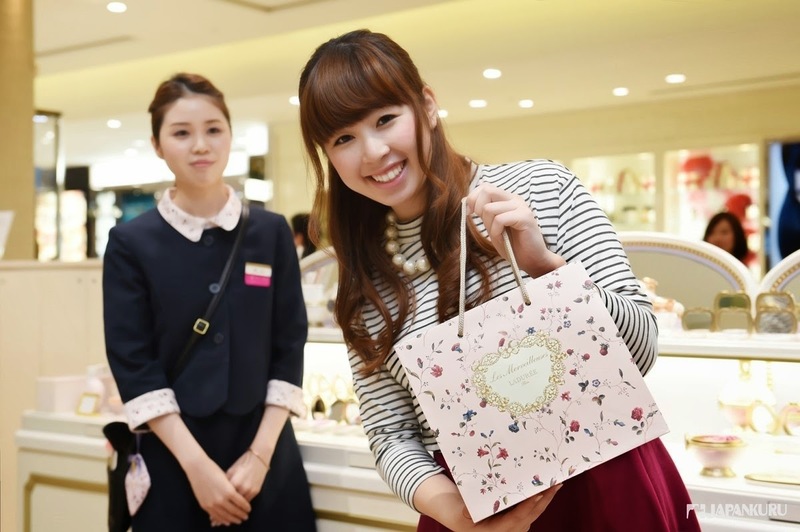 In Japan, Les Merveilleuses LADURÉE is a brand popular among ladies in age group of 20-30. 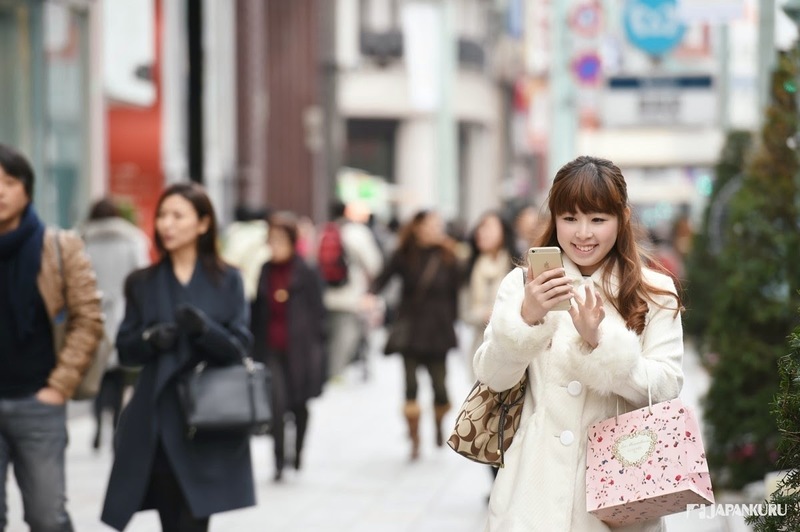 These days, it has been spread to place outside Japan such as Taiwan, Hong Kong, and China. Next will be America and European countries then. 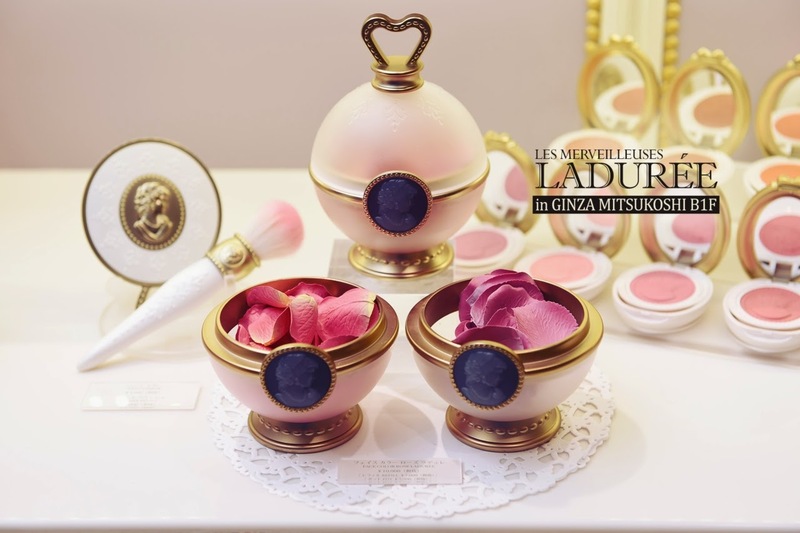 Let's see how to use Les Merveilleuses LADURÉE for a fantastic make-up in 3 steps! 1. 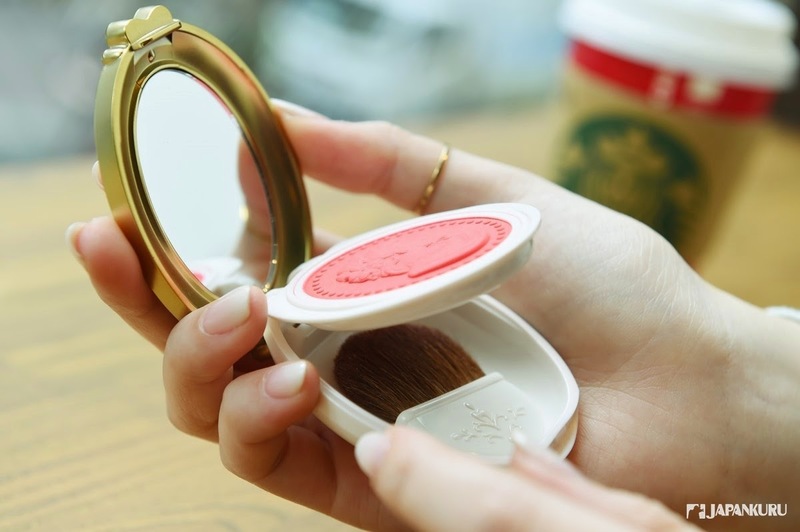 Use cream cheek base, draw a circle on your cheek. 2. Use your finger to spread the cream evenly on the cheek like the photo shown above. Gently put it on the face. 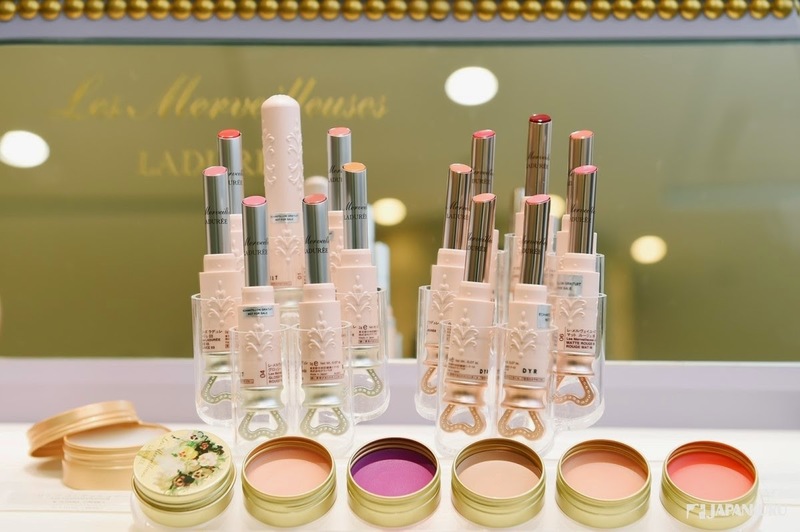 A nature and elegant Les Merveilleuses LADURÉE make-up is done. Overall it makes the face look brighter! A shiny gloss lipstick! We want this! The moment to feel the honey and butter in the ingredient. 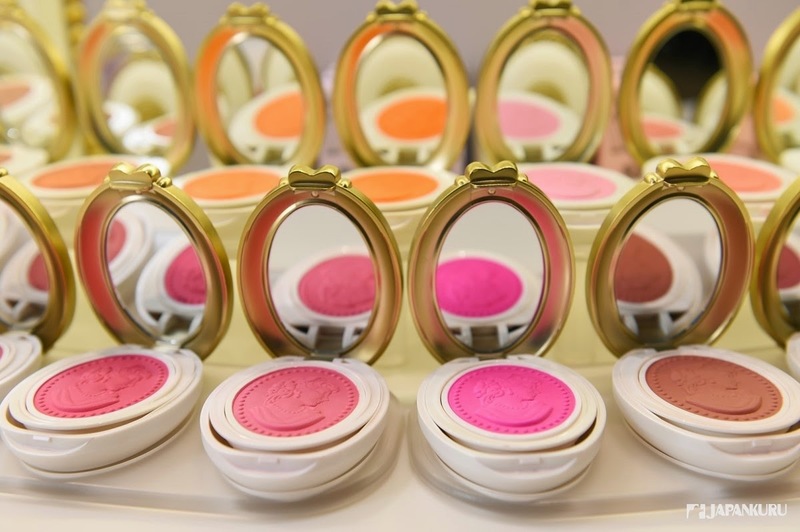 At last, we decide to buy CREAM CHEEK BASE, FACE COLOR ROSE LADURÉE, PRESSED CHEEK COLOR and MATTE ROUGE! We just need to buy the pot and the case at the first time. Then, it is simple and convenient to just buy the refill later! 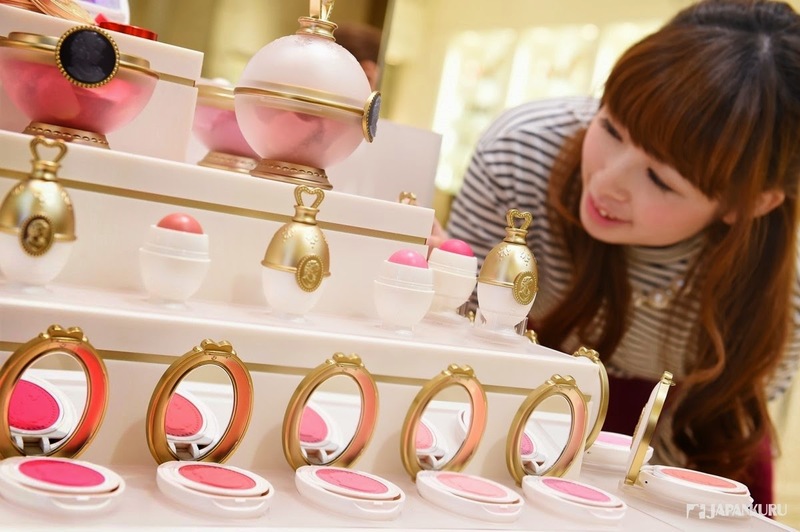 In this cold and dry winter, wearing an elegant Les Merveilleuses LADURÉE make-up to walk around the street in Ginza. 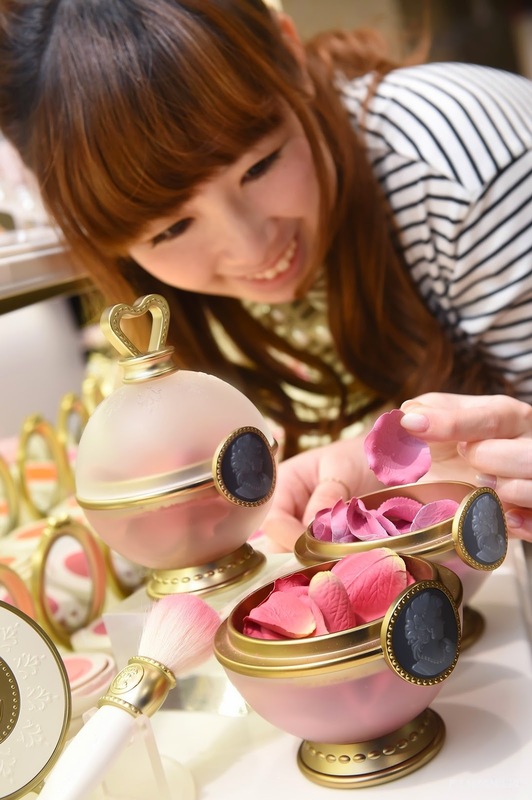 Of course, you can also find stores such as in JR TAKASHIMA Nagoya, HANKYU Umeda, DAIMARU Kyoto and DAIMARU Kobe. Gourmet: Food, Drinks, Restaurants, etc. Japankuru2012-2018. Simple theme. Powered by Blogger.